Home - ArtWorks 4 ENA, Inc. Learn more about this awesome public charity! Find out what ArtWorks does in the community! Want to know how you can help? Click here! Share your contact info so we can keep you updated! In nearly half of all US secondary schools, coursework in the arts is not required for graduation. 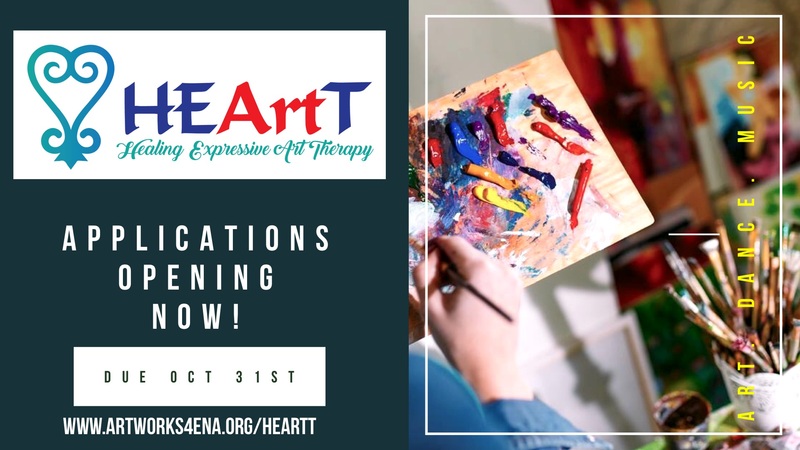 The Mission of ArtWorks 4 ENA, Inc. is to provide an educational forum, and create opportunities where youth of all ages can experience and exercise diverse artistic expression. Economically disadvantaged students receive less arts enrichment activities than affluent students. Together we can help inspire young artists!